Gotham Season Finale: "Wrath of the Villains: Transference"
Preview images and spoilers for the Gotham Season 2 finale, titled "Wrath of the Villains: Transference"
In the finale, while Gordon, Bruce and Lucius remain at Indian Hill, the city of Gotham will be met with a new threat as Hugo Strange’s inmates devise a plan to escape and start their new lives. You can see some photos below. Gotham will return for Season 3… today, FOX announced that it will remain on Monday nights in the Fall. 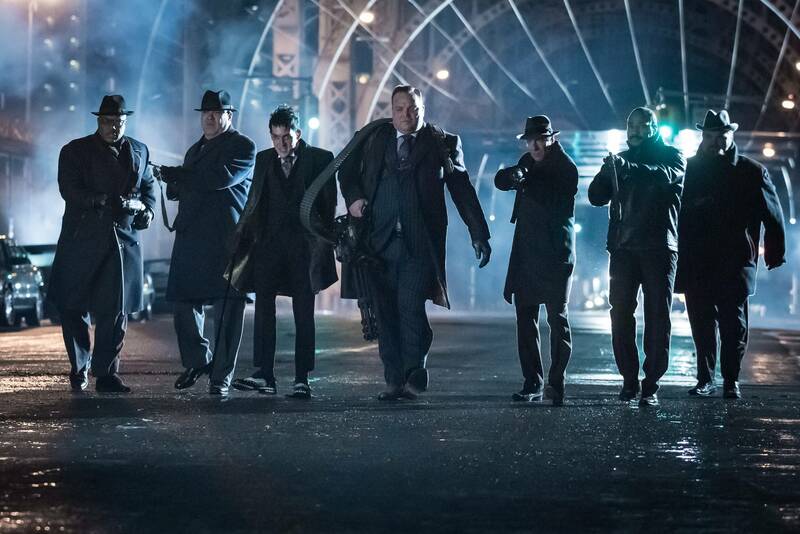 Gotham stars Ben McKenzie as Detective James Gordon, Donal Logue as Harvey Bullock, Morena Baccarin as Leslie Thompkins, Michael Chiklis as Detective Nathaniel Barnes, Sean Pertwee as Alfred, Robin Lord Taylor as Oswald Cobblepot/The Penguin, Erin Richards as Barbara Kean, David Mazouz as Bruce Wayne, Camren Bicondova as Selina Kyle/the future Catwoman, Cory Michael Smith as Edward Nygma/the future Riddler, James Frain as Theo Galavan, Jessica Lucas as Tabitha Galavan, Chris Chalk as Lucius Fox, Nicholas D’Agosto as Harvey Dent, and Drew Powell as Butch Gilzean.